After 16 hours and 10 minutes on road and stage yesterday – including the mandatory H&S recommended comfort breaks and rest halts! 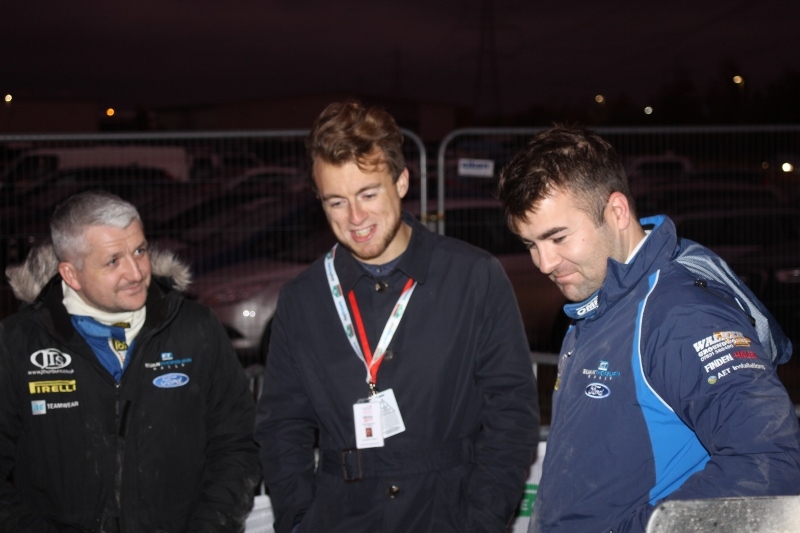 – the second full day of the 2017 Dayinsure Wales Rally GB drew to a close as weary crews pulled into Deeside service last night. If it was a long day for them, think of the poor service crew lads and lassies. They were on station from 4 in the morning till well past midnight and then it was another 4am call this morning! Our lot are still on the case. David Bogie and Kevin Rae have dispatched Eyvind Brynildsen (their target!) and are currently 14th overall and 4th WRC2 runners. Prior to the start of the late loop last night he was 5 seconds behind Brynildsen and where he commented: “I don’t know if there’s a chance of a podium, we’ll see how tonight goes. We had to work today. With no service out there on the first loop and carrying two spares we had to swap tyres around, back to front, and new on and old ones off. 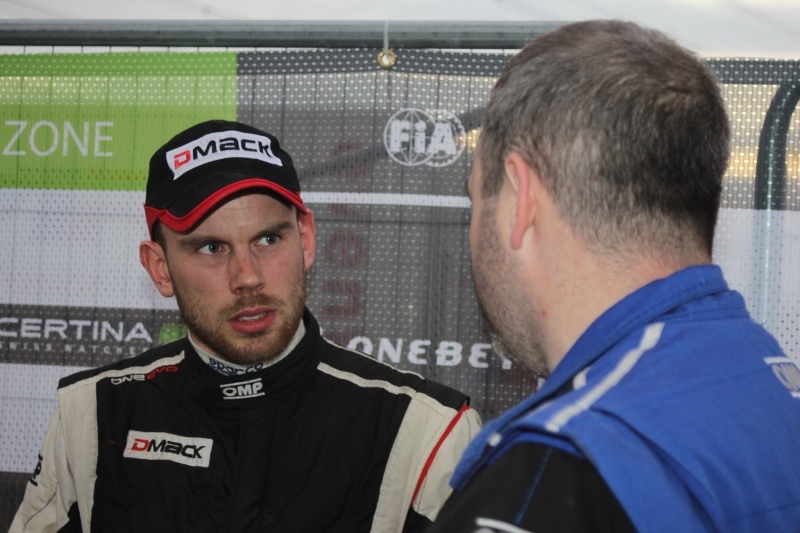 It was good, happy enough with that.” As he clocked into the overnight halt late last night he had converted his 5 second deficit to a 2.5 second advantage over Brynildsen, and this morning they are 45 seconds behind 3rd placed Eric Camilli, but David had a glint in his eye. Methinks he doth think there is a possibility of a podium yet. Ever hopeful, eh? John MacCrone and Rhianon Gelsomino are 22nd and 11th WRC2 and given the pace of this category they can be well chuffed with that. John started off the day behind Matthew Wilson and Stuart Loudon but he caught them: “We had the gap down to 6 seconds,” said John, “but we caught them in a stage when they got their first puncture. That means Wilson and Loudon will re-start today under Rally2 rules. After all their troubles, Euan Thorburn and Paul Beaton are still inside the top 30 in 28th place. Where many others might have given up and gone to the pub this duo have stuck at it through thick fog and dark, grim Welsh greenery. Meanwhile up at the sharp end of the field there is a widespread feeling of suppressed joy and anticipation. Elfyn Evans the young Welsh Wizard has a 53 second lead over M-Sport team mate Sebastien Ogier. Not only is this good news for British fans but also good news for the Carlisle based DMACK tyre firm. Thierry Neuville is only half a second behind Ogier, so there is unfinished business there ahead of today’s final 25 mls of stages. Jari Matti Latvalla is 4th just 4 seconds adrift while Andrew MacKkelsen (Andreas Mikkelsen) is 5th and Ott (Teacake) Tanak is 6th ahead of Kris Meeke. On the National front, there is good news overnight. Bruce McCombie’s penalty has been sorted and although he has moved back up to second place overall, he’s still 25 seconds behind Tom Preston in the Fabia R5. 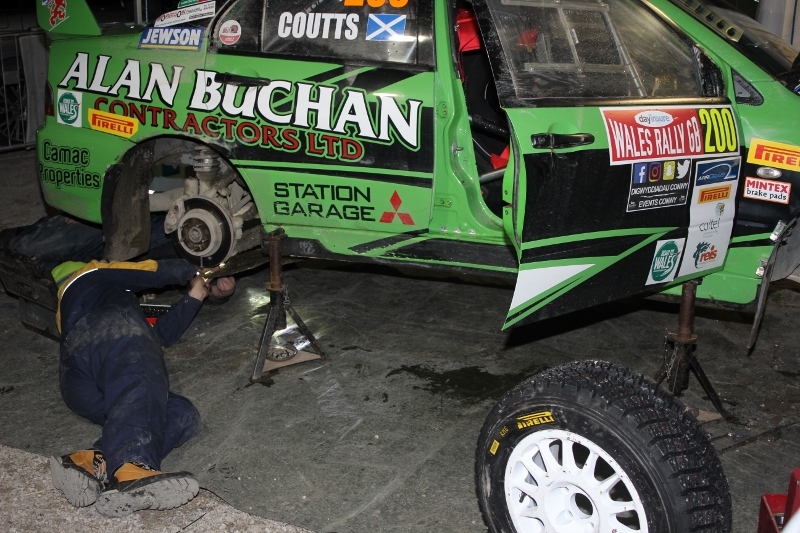 With only 15 miles of stages left this morning that’s a big ask of the Mitsubishi driver.